Do you want sophisticated and amazing outdoor seating that can be easily kept when it is not in use? Are you tired of having chairs that lack durability, material quality, comfort and style? Do you cringe every time you think of bringing out those old metal folding chairs for company to sit on? 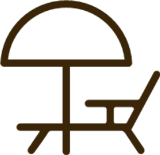 If so, you may find exactly what you are looking for in a teak folding chair. CV. 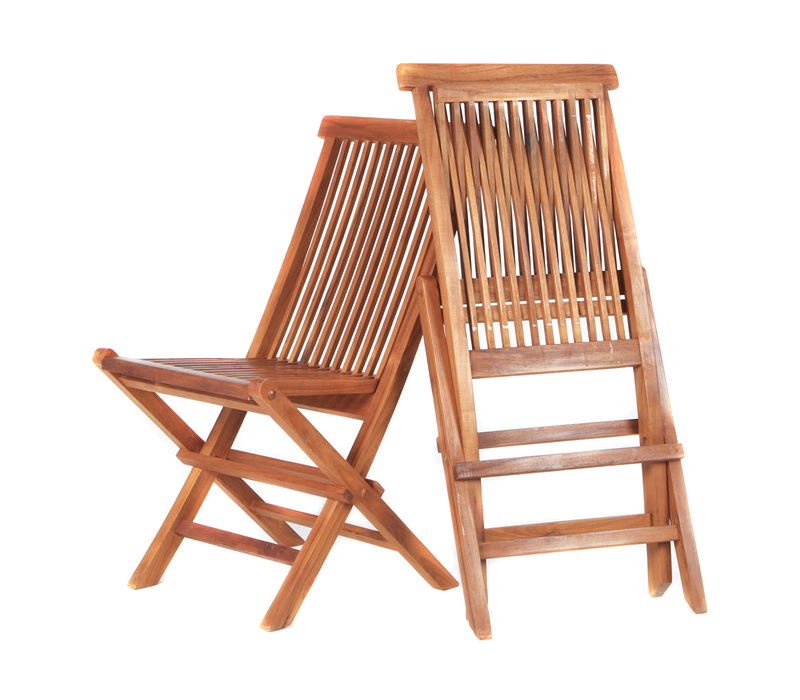 Jepara Crafter Furniture is simply the best choice for quality yet comfy teak folding chairs. 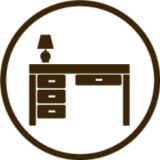 We have expert craftsmen that build and design polished wooden furniture. We deliver a variety of wooden furniture worldwide and teak folding chairs is just an aspect of what we are specialized in. Wood folding chairs come in a variety of finishes and contemporary designs. There are a wide range of wood folding chairs made of oak wood, teak wood, mahogany, fruit wood, white wood, and other natural wood. Teak folding chairs are chairs made of teak wood; these chairs provide excellent seating for convention centers, churches, educational institutions, restaurants, hotels, party rental firms, weddings and receptions, graduations, banquets, and all other special occasions. Teak folding chairs give a natural and sophisticated look to your interiors and amazingly perfect for outdoors such as beaches, gardens, and lawns. 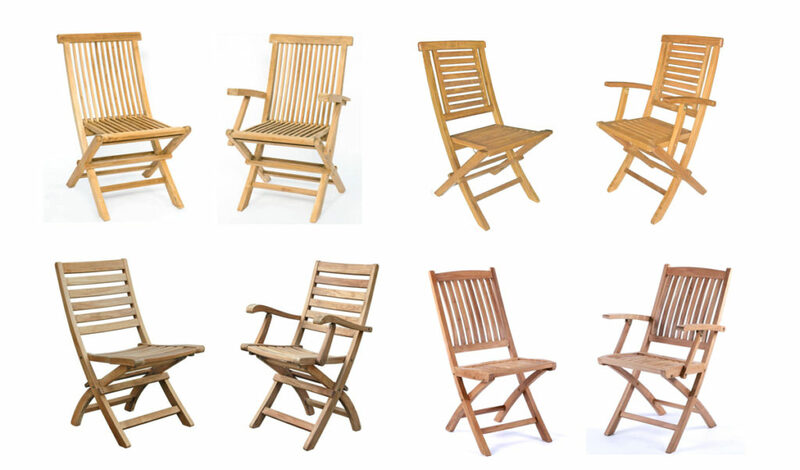 One of the most appealing features about teak folding chairs is the vast array of choices in design. From rocking chairs to dining chairs there is a style that is suitable for every taste and the decor of any room. People have so many cravings and love the beauty and feel of teak wood. Teak folding chairs are highly sought after by consumers because of their beauty, durability and ease of storage. Made with the finest wood that is often called the premium wood for outdoor furniture, teak folding chairs will bring sophistication, comfort and style to your next outdoor gathering. When selecting furniture for indoor and outdoor spaces, many people purchase pieces made with teak. 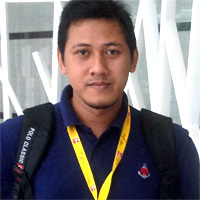 Teak is both resistant to the elements and requires little maintenance. If comfort is your top priority, you will definitely prefer the teak folding chair. This chair adjusts to different seating positions to give you the utmost comfort whether you are dining or simply taking a nap. This teak folding chair also folds smoothly and compactly for easy storage. Teak folding chairs also come with unique finishes. Chairs built of teak wood can often last a lifetime, as they are very sturdy. They are not affected by sun, rain, or snow. High quality wood coupled with modern wood processing techniques and carpentry skills produces beautiful, stylish, and long lasting wood folding chairs. Feel like teak folding chairs are a good idea? Well, a great way to check out the different options you could purchase for your space is by going online and shopping from us. Finding what you want is a synch and you don’t even have to leave your home to do it because when you do make a purchase, it will be shipped right to your home. Remember now, when you need extra seating in your outdoors space, even indoor space, you don’t have to rely on clumsy metal or lawn chairs. Instead, use teak folding chairs. Convenient, appealing to the eye, and a comfortable, it is a selection that you wished you invested in sooner.